Roses are red, violets are blue, have you cared for a rose? You might want to! So many aspects of gardening are rewarding but watching your new rose’s blooms open…now that is something great! Their beauty is not only stunning in the yard but also as cut flowers inside. Are you thinking about starting a rose garden yet? Here are some helpful tips to get you started. Roses prefer a full day of sun – at least 6-8 hours of direct sun per day. Morning sun is best to dry the leaves early in the day. They do best with good air circulation so leave plenty of room around each plant. 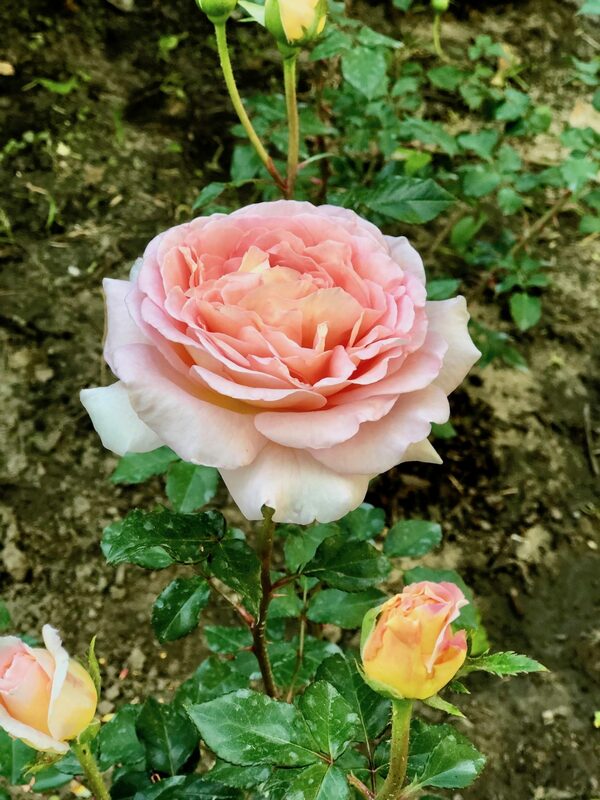 Roses prefer loose, well-drained, well-aerated soils with lots of organic matter. Plant roses in late spring before the heat of summer sets in. Watering: Roses need lots of water; deep watering promotes a deep root system. Soaker hoses may be an ideal way to water roots without wetting rose foliage. Fertilize: Roses are heavy feeders and require regular fertilization. Apply Espoma RoseTone 4-3-2 organic fertilizer at the rate of 1 1/4 cups per plant each month during the growing season, starting in early March. Pruning: Pruning keeps roses healthy and promotes new growth, removes dead or diseased canes, and helps attain desired shape. When to prune: For repeat bloomers, such as hybrid teas and floribundas – give these a heavy annual pruning just as the buds break dormancy, usually mid-February. For our area, remember Valentine’s Day to prune your roses. For old fashioned roses and climbers that bloom once a year, such as Lady Banks Rose – prune these immediately after flowering. Dead canes can be pruned out of a rose bush at any time.